Surrender at 20: Red Post Collection: State of Skins, Sejuani & Maokai legacy skins + bundles, Ping Mute PBE testing soon, & more! 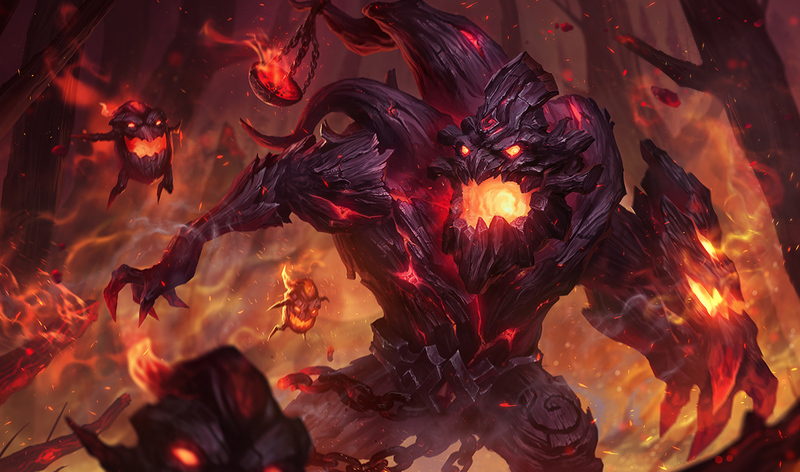 Red Post Collection: State of Skins, Sejuani & Maokai legacy skins + bundles, Ping Mute PBE testing soon, & more! Tonight's red post collection includes a new /dev focused on skins, Sejuani and Maokai legacy skins and bundles available in the shop, info on Ping muting options hitting PBE soon, and more! Red Post Collection: May 2nd Gameplay Thoughts, Heimerdinger Changes for 7.10, Animating Xayah, and more! 5/2 PBE Update: Pulsefire Caitlyn, Pulsefire Ezreal update, New Chroma, New PF Summoner icons & Ward, and more! 5/3 PBE Update: Items sets, Ping mute assets, and more! A new /Dev is up, this week covering the state of Skins: how they are decided on, who gets them, and more! "Oh, hello there! 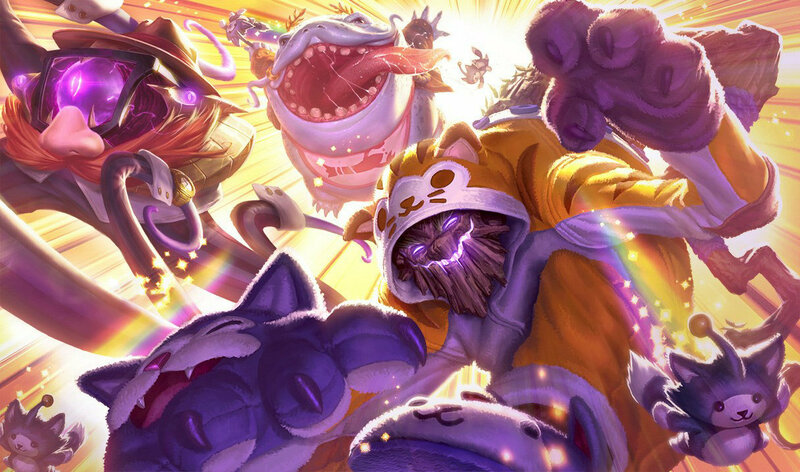 SuperCakes here with an update on the Wonderful World of Champion Skins. I’ve posted from time to time on specific choices we’ve made on skins, but I thought it would be good to do a deep dive on the state of our products and give you some inside information on how we decide what to make for you. I’m trying to beat out REAV3 on number of Nexus articles this year, so if you like this sort of info, let me know and I’ll try to make it a regular thing. I want to assure you that when we meet as a team to make decisions on what skins to make, you are always in the room with us. We spend a lot of time listening to your feedback and trying to understand what resonates with you and what doesn’t. We appreciate you letting us know when we’re getting it wrong (though it’s always better when we get it right). HOW DO YOU CHOOSE WHAT SKINS TO MAKE? 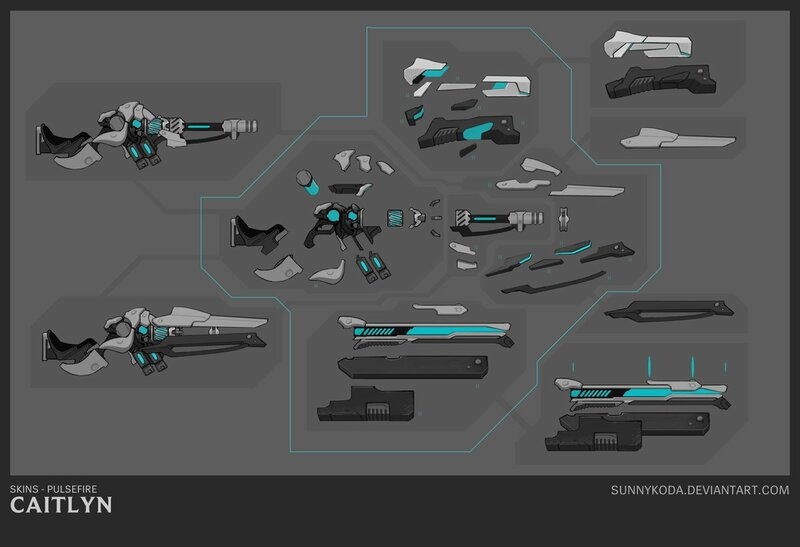 The number one question we get asked on Ask Riot is how we choose what skins to make. It’s both a very simple and very complicated process. And yeah, I know that makes no sense, but I’ll explain. If we could apply any theme to <insert champ here>, what would it be? 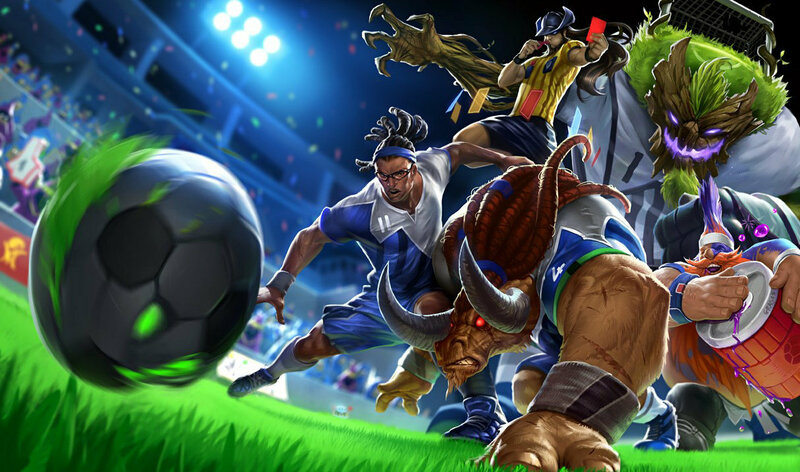 What themes are we excited about working on and which champions will fit in that theme? How many skins can we make this year? What have you been asking for? How long has a champion gone without a skin? Where do we have a chance to surprise you? Where can we take some risks? 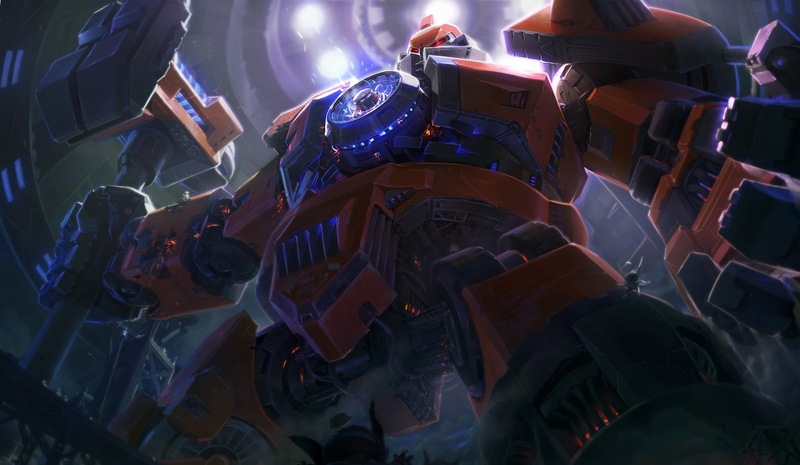 Will this champion get an update soon? How do we create skins with global appeal? How many players are actively playing this champ? What theme will resonate with you? WHY DO SOME CHAMPIONS GET MORE SKINS THAN OTHERS? This is such a tricky one… There is a limit to the number of skins we can make per year, and because champs don’t get retired, the champion catalog continues to get larger and larger. So champion popularity definitely factors into how we make those decisions. If you guys are playing the crap out of a champion, we want to give you some new ways to experience that champ. If the play rate of a champion is really small… that’s where we find ourselves at a crossroads. 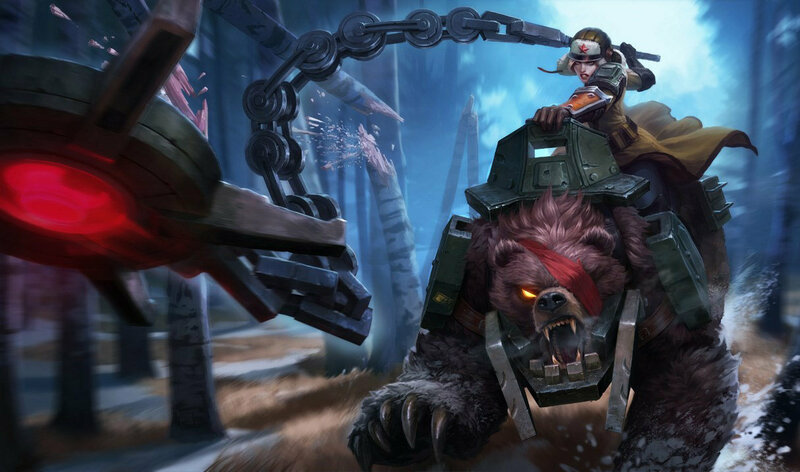 We are very sensitive to the fact that some champions have not received skins for a long time. When we are in planning, these champs are ALWAYS a part of the conversation. We tried to use our low-scope skins (750s) as a solution for this. 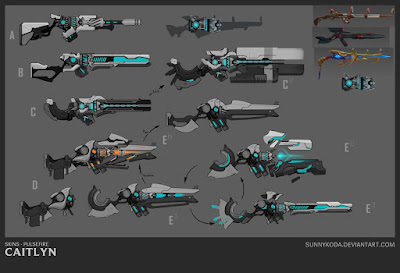 By only touching model and textures, we could create more skins in a year. Lower scope meant higher quantity, so we could get to more of these champions. But when you are trying to deliver an alternate fantasy, changing the model and texture alone can be very limiting. Unless the fantasy works perfectly on a champion’s base animations, VFX, audio, etc., it ends up falling flat. Sometimes we could nail it (and we’ll continue to look for these opportunities) but, more often than not, we started seeing decreasing player satisfaction in these choices. Feedback pointed at players wanting a higher quality experience for their champion. 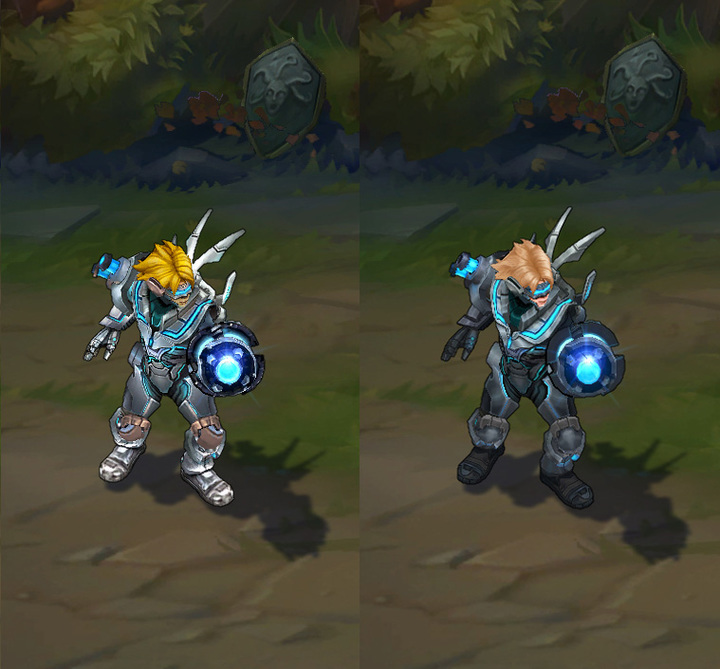 Model/texture swaps were considered low quality; it felt like we weren’t taking people who love those champs seriously, and that felt bad. Zyra is a good example here. 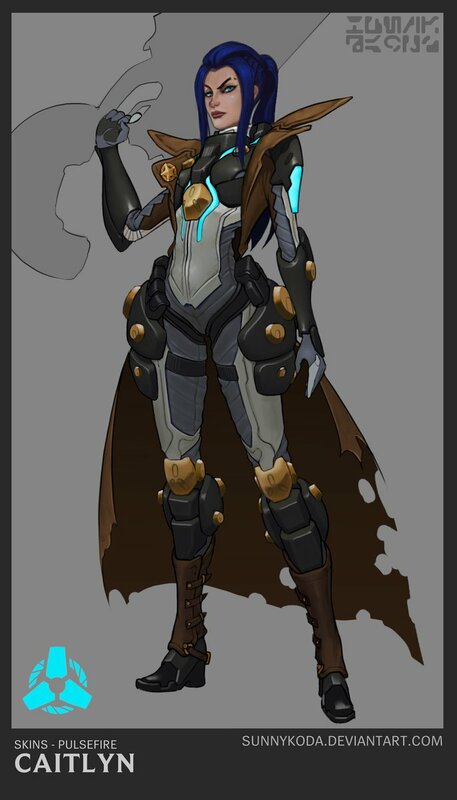 She was way overdue for a skin, and the team was passionate about getting her one. Her play rate for the last two years has been pretty low (especially when we started the skin, though she ended up having a good season), but anyone who plays Zyra is incredibly loyal to her, and they have been starved for content. 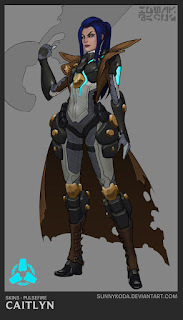 She’s also a particularly challenging champion to make skins for. She has so much… stuff. How do you pull off a great fantasy for Zyra without touching particles, animation, and audio? Truth is, you can’t. So we end up in a situation where we either just don’t give her a skin, or we go all in. That’s the road we decided to take this year with her Dragon Sorceress skin. We figured, even though this content is going to touch a much smaller group of players, if those players are hyper-passionate about getting content for their champion, we should give them the best skin we can. 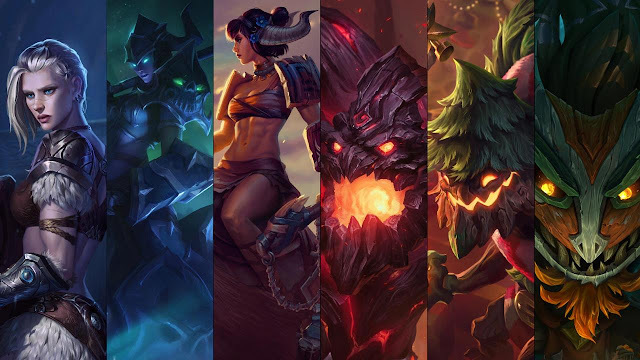 I feel like we’re tackling some major pain points this year and feel confident committing to you that you will be receiving skins for Cassiopeia, Viktor, Yorick, Illaoi (and more) over the next 12 months. We know there are others you would add to that list; they are likely on our list as well. We think a lot about which theme works for which champion. For example, we knew we wanted to bring Blood Moon back this year. We started with the theme, and then discussed which champions would work well in that universe. There’s usually more than we can make, so we keep them on a list for the next time we visit the theme. Some themes and champs are a natural fit, but obviously not every theme can work on every champion. We all play champions for a reason. Something about them resonates with us, whether it’s their abilities, complexity, personality, etc. We always want the skins you are playing to honor and enhance the best parts of playing that champion. 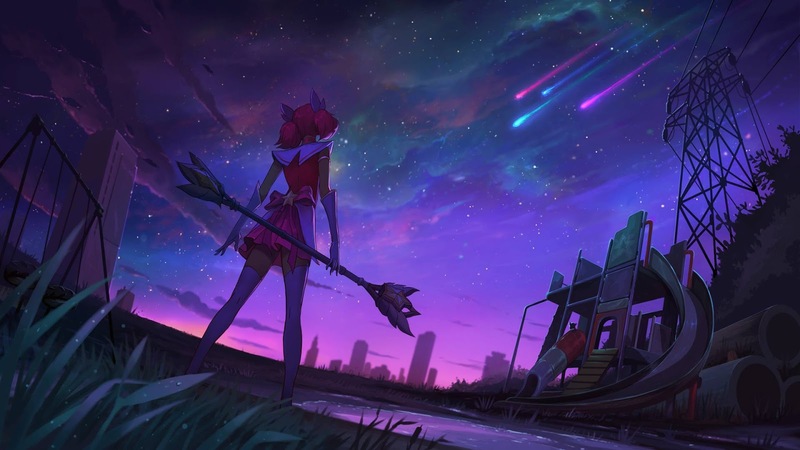 When we get it right (Star Guardian Lux), you respond in a really positive way. When we get it less-right (Void Bringer Illaoi), you let us know that as well. Sometimes it’s hard to get the team to agree on whether or not a champion fits a theme. We have a skin in development right now (to be released later this year) that has the team divided. Some people feel it’s a slam dunk. Some feel it’s not the most obvious fit, but a risk worth taking. Others feel adamant that it’s a bad fit. At the end of the day, you will either decide to pick it up because you love it, or you won’t because you don’t. If we never take these kind of risks, we’ll never know. You will let us know if we got it right or wrong. We’ll learn something from it, good or bad, and make decisions for the future. Last year we started investing more in delivering skins in theme sets (several champions all getting skins in the same theme at one time; we call these “thematics” internally). There is a certain magic that happens across the skins teams when they are all working on delivering a thematic together. PROJECT: and Star Guardian are just two examples of where we’ve seen this happen. 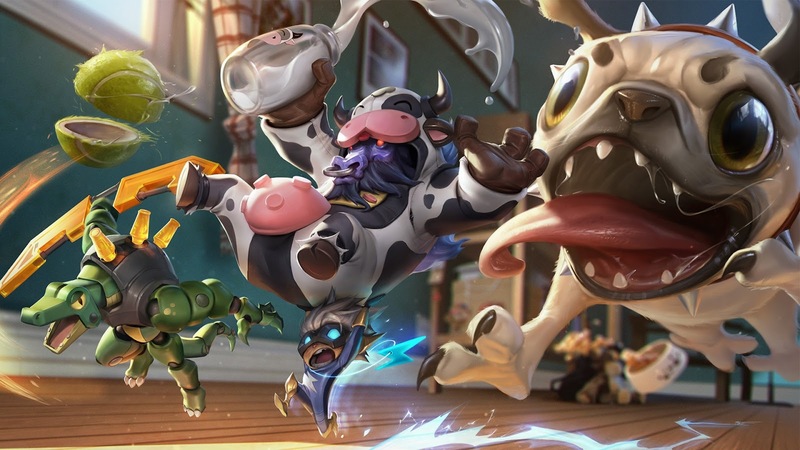 Instead of being heads down on your one champion skin, you see the team feeding off the energy that comes with creating a bigger experience for you. We’re really excited about expanding on these in the future. 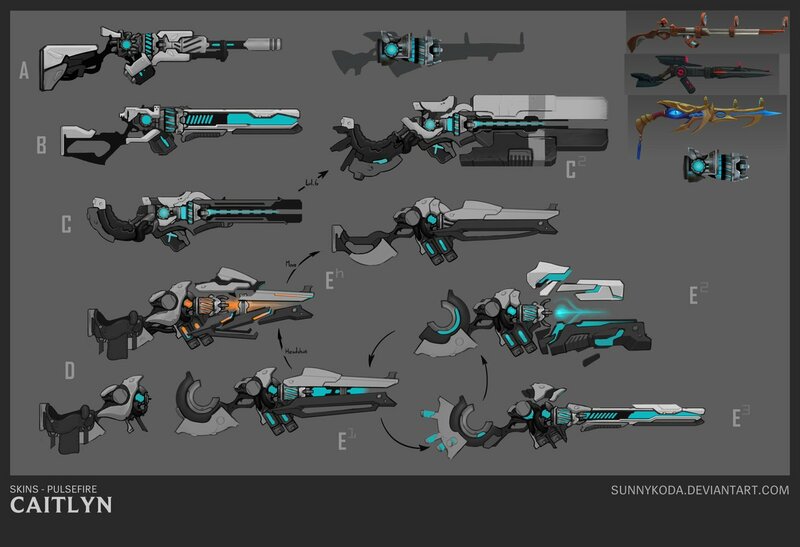 Our team is also responsible for making the skins that launch with a new champion. These skins are always a unique challenge. 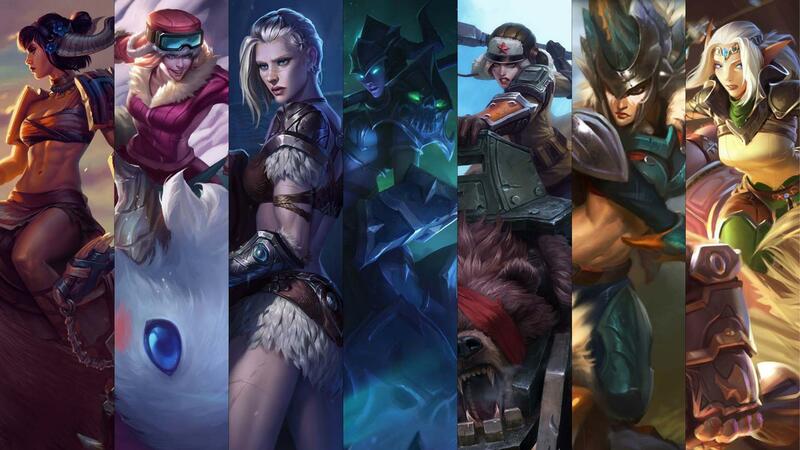 At the point we are developing these skins, we know what WE love about these champions, but we don’t quite know what YOU love about them yet. It makes picking the right theme even more important. We work closely with the Champion team to make sure we are choosing a theme that compliments the style and attitude of the champion they are releasing. This is another place where we work hard to get it right (Xayah & Rakan), but sometimes are less successful (again Illaoi). Another thing we have to factor into our champion selections is Champion Update’s roster for the year. 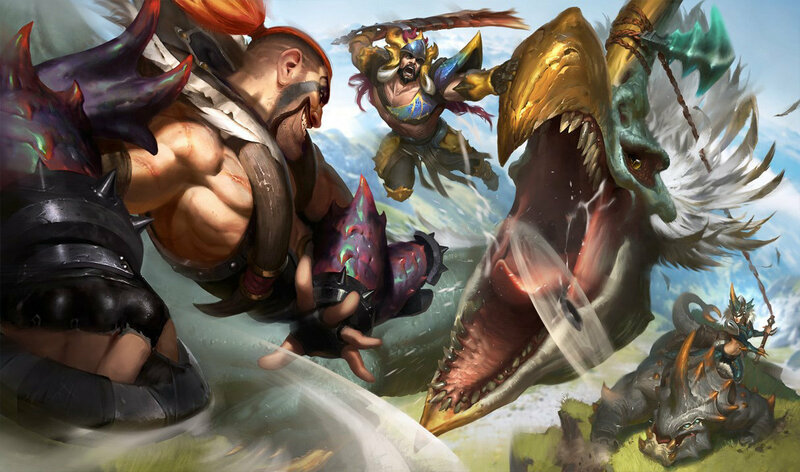 We have an agreement with Champ Up that we won’t make skins for champions that are actively being worked on or are about to go into production. 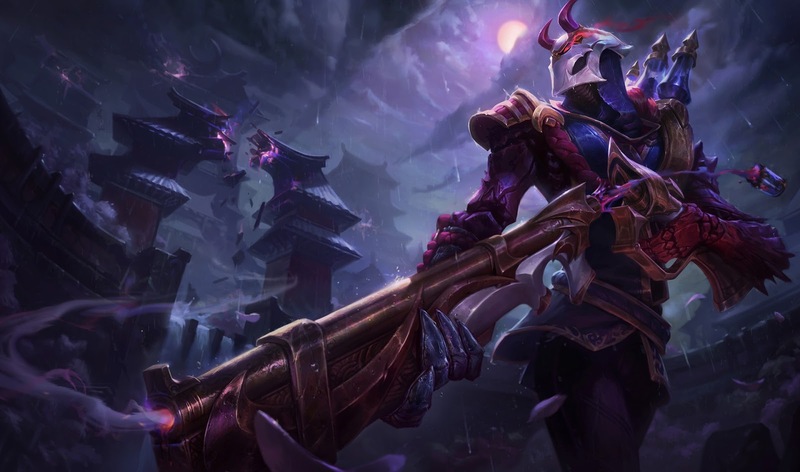 Imagine we make a skin for Urgot right before his update comes out. That puts an additional skin onto that team’s plate to update. 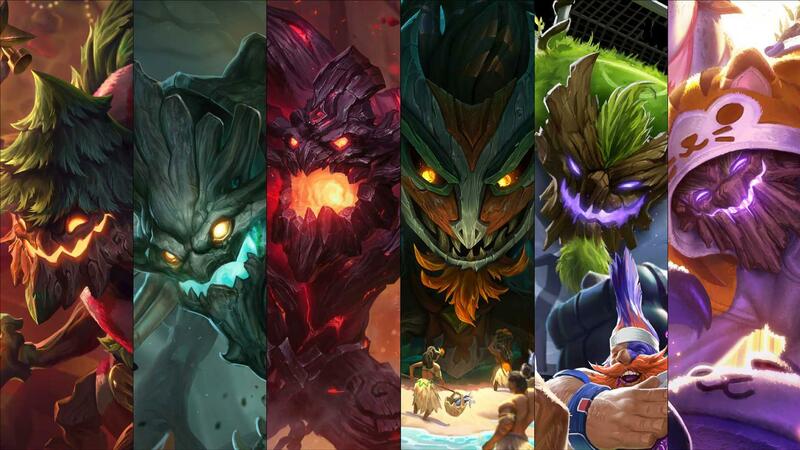 Once Champ Up has done their work, these champions are way better to work with, since a visual update allows us to make much better skins for those champs. Mecha Zero Sion and Star Guardian Poppy would not have been possible before those champs got upgraded. There are also times where we want to make a skin for a champion, but not necessarily as part of a bigger set. 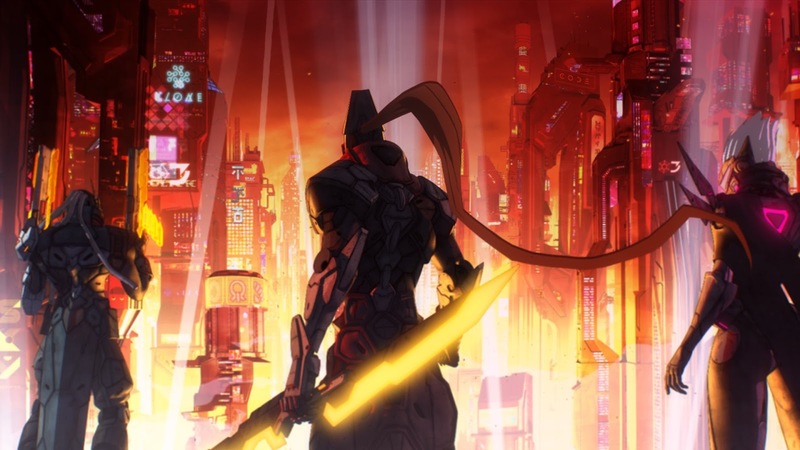 We strayed away from this a bit last year, focusing mostly on bigger themes. What we realized is that this was leaving certain champs unexplored because they just weren’t fitting into any of the thematics. That was a miss. 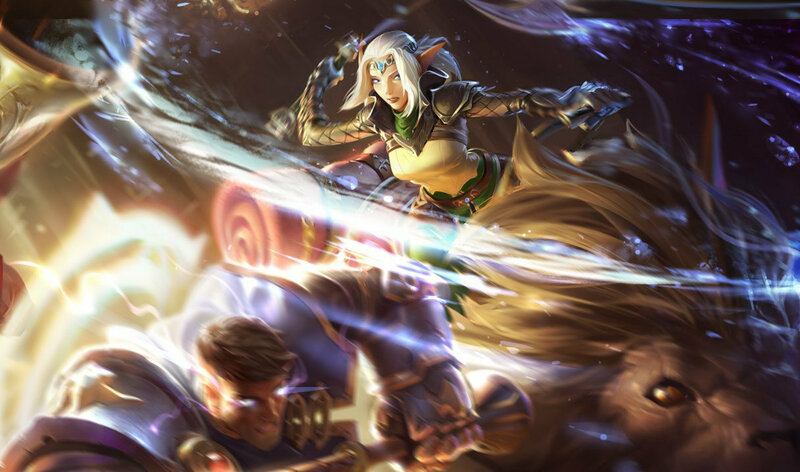 This year, you will see some champions being released independently of a bigger thematic drop. 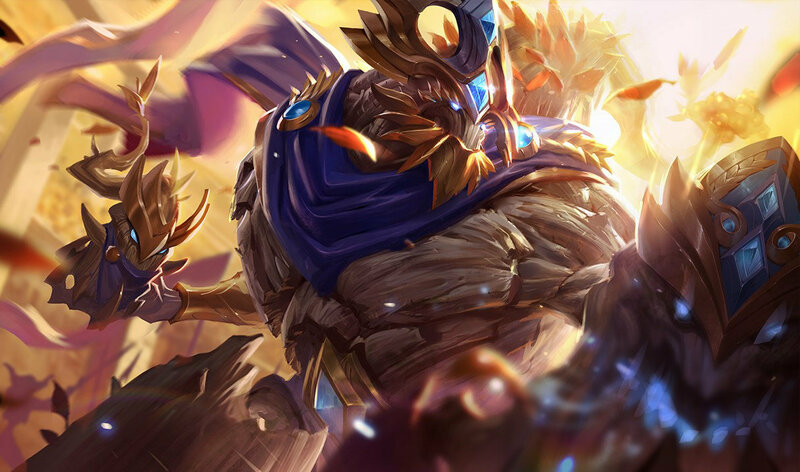 Dreadnova Gangplank, Festival Queen Anivia, and God Fist Lee Sin are some examples from this year, and there are more to come. We’ve had a few conversations with you recently about quality. Since League of Legends is free to play, the stuff that IS for purchase needs to be great. We take this responsibility seriously and hold ourselves to a very high standard. It’s not enough for us to say, “Hey, if they don’t like it, they won’t buy it.” Because that purchase decision is not exclusive to the player who buys the skin. Every skin we make changes the game in some way. Even if you don’t buy the skin, you are likely to engage with it in a game where someone has. Usually, we are able to make these calls before we put a skin on PBE. That’s really the best possible outcome. If we cancel, you haven’t had a chance to get excited about something we’re not fully confident we would release, so there’s no real player pain caused. But sometimes skins like the Sewn Chaos line make it to PBE before we’ve made a call. And in that case, what we heard from a lot of you confirmed a lot of what we were already thinking. I know that some of you were excited about them, but those skins just weren’t good enough. It hurt to pull them, but they didn’t meet our standards of quality, so I stand behind that decision. That being said… let’s chat about Pug’Maw. Wow, what a contentious skin. This one had not just the skins team divided, but pretty much the whole League dev team. When we kicked it off, most people were excited about the idea. But, as we worked on it, the split started getting wider. In order to account for gameplay clarity issues, the skin shifted in a direction that became… unpleasant. 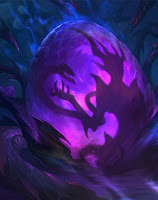 When it hit PBE, we were already talking about whether to fix it or kill it. And the sentiment we heard from many of you was to put the dog down. But that sentiment wasn’t universal. In fact, you all were just as divided as we were. The team saw this as an opportunity for a win: try and fix the things we all saw and see if we could change hearts and minds. I’m happy we pushed forward with Pug’Maw. 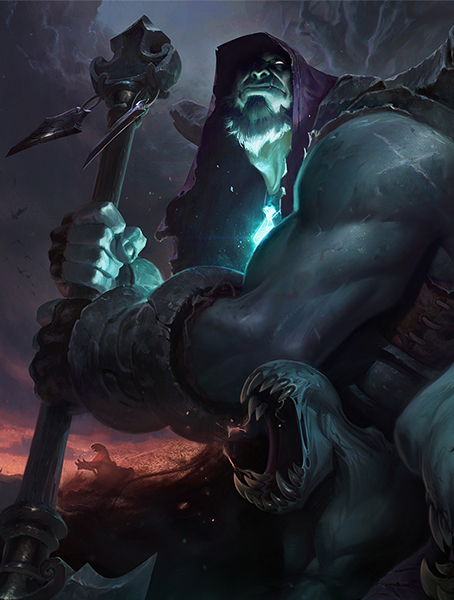 He was a very popular skin, and we saw players (and Rioters) respond positively to the changes we made. 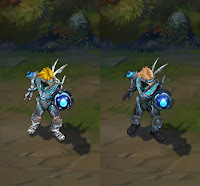 So, by the time this comes out, you’ll have learned about our updates to Pulsefire Ezreal. 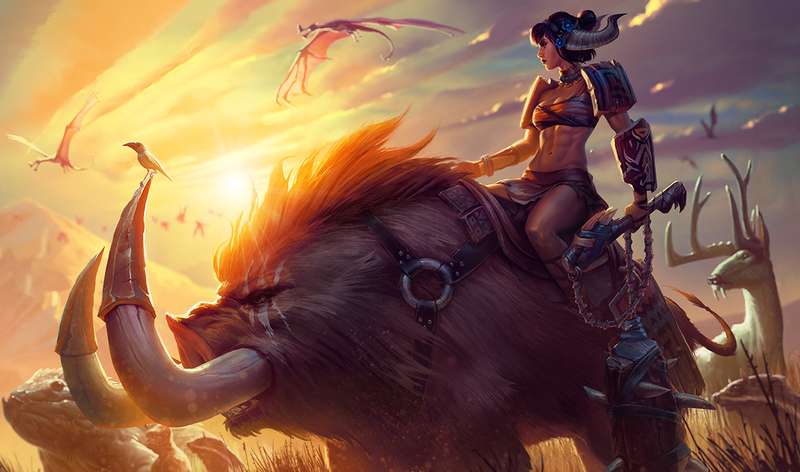 I wrote an Ask Riot response at the end of last year about this, but let’s take another look. 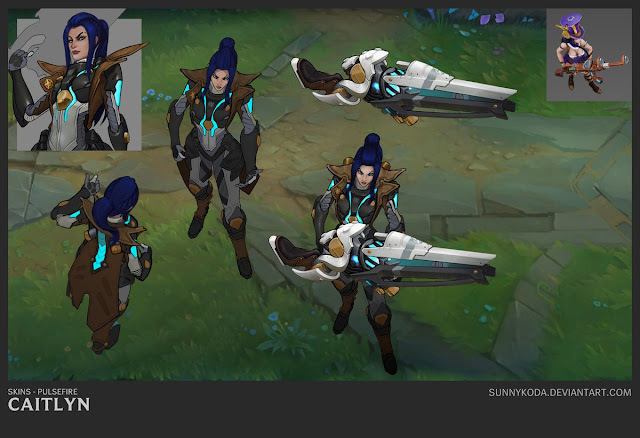 We wanted to revisit the Pulsefire universe and thought Caitlyn fit perfectly into the theme. With that, we had an opportunity to answer a long time player ask and update PFE. But we knew we wouldn’t be able to bring it up to the standards of DJ Sona or Elementalist Lux, without starting from scratch. The amount of resources we dedicate to an ultimate skin would put a significant dent in the number of new skins we’d be able to make, so we looked to make improvements where we could to update the look and feel of the skin. But, I don’t see skin updates being something our team invests in significantly any time soon. Our general philosophy has been to leave skin updates to the Champion Update team when they are doing a Visual Update. But if the right opportunity comes along, we’re open to it. Alright, I think that’s it for now. Every time I walk around the team space and look at what we’ve got going on, I get more and more excited as a Rioter and as a player. I can’t wait to see what you think of what we put out this year. 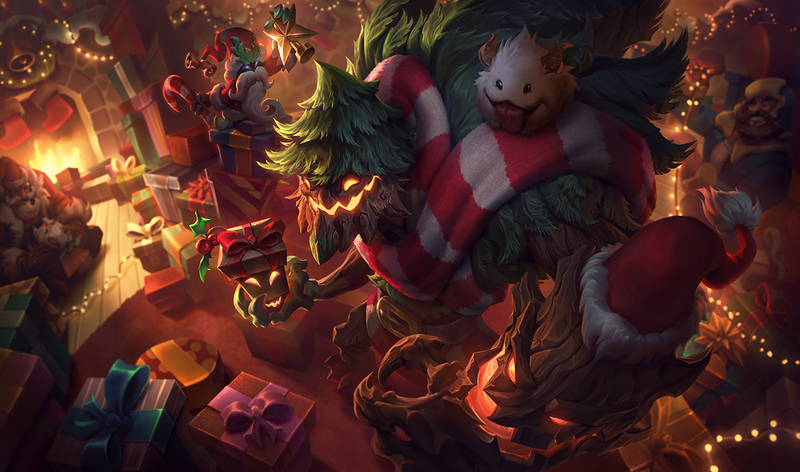 In celebration of their updated skin splash art in 7.9, limited time Sejuani and Maokai skin bundles are available in the shop! Legacy skins for each champion are also up in the store individually! 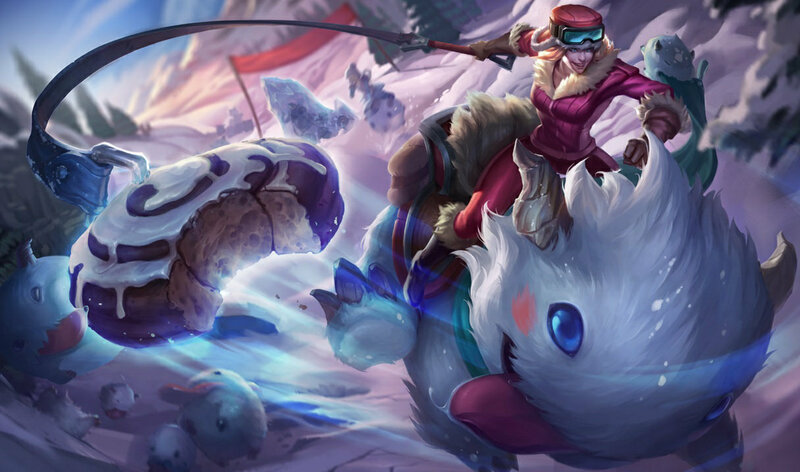 "Updated splashes for Sejuani and Maokai are taking root. Seize their Legacy skins or a bundle to make all skins your own before they disappear on May 10, 2017 at 23:59 PT. Don't forget the legacy skins are also available in the shop individually in addition to the bundles! Earlier today we shipped some code for ping muting to PBE. We'll be turning it on for testing on PBE in the next few days, and hope to have it live around the world within just a couple patches. This is a new button we're adding to the tab menu. It'll axe standard, smart, and HUD pings from the player you ping mute. The mute button that's already in the game is not moving or changing at all. It mutes chat, and extracurricular animations and emotes. The idea is to give everyone granular mute controls." Just making sure, this will allow you to mute regular pings, smart pings and chat pings? Standard, smart, and HUD pings will be axed by this button. It's a new button that'll live right beside the chat mute button that's already in the game :)"
"Pings by ping muted players will not be visible, audible, nor messaged in chat. From your perspective, it will be as if those pings never happened. It's a feature that's meant to be used selectively in cases where you feel like someone's pings aren't valuable to you, as opposed to pre-emptively against your entire team." Here's Riot King Cobra with the 7.9 edition of Patch Chat! Hey, everyone! I'm Riot King Cobra and it's time for another round of Patch Chat! These threads serve as opportunity for us to talk about the patches that come out every two weeks. You can find the most recent patch by following this link: Patch 7.9 Notes. I'm on Riot's Playtest Team, a group of high elo players who play with the new champions, reworks, balance tweaks, items, and map updates before they are released. 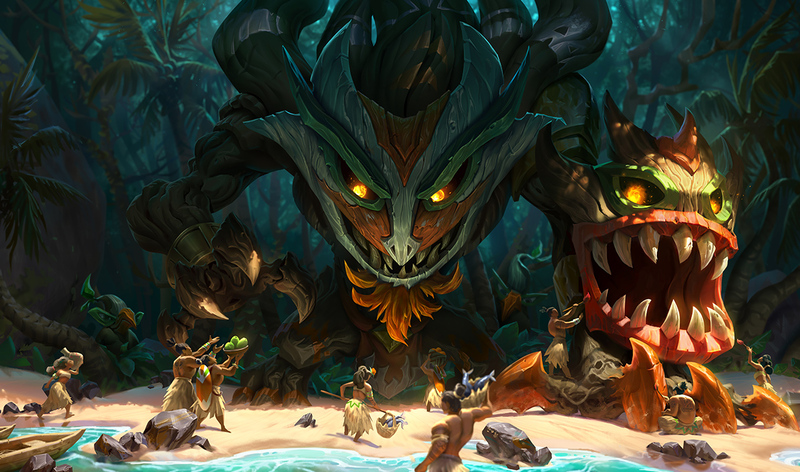 It's our job to the test the changes that our designers come up with and ensure that we're introducing positive changes to League in terms of both balance and fun. Ask us questions - we'll try to answer as many as we can! 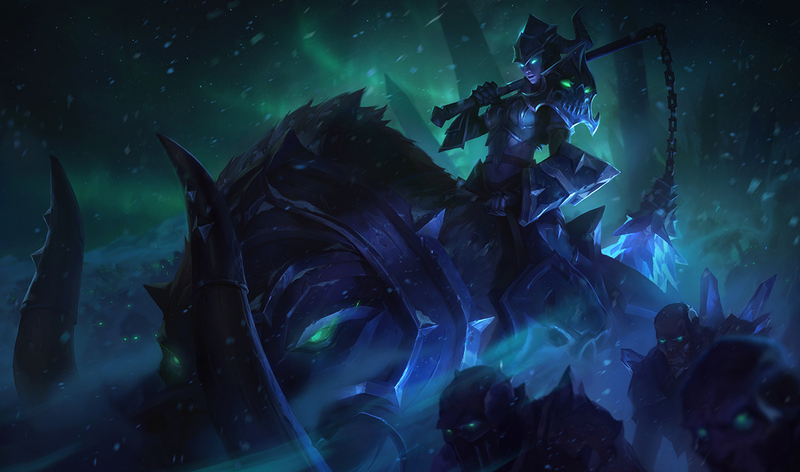 Patch 7.9 is our big midseason patch. There's a ton of stuff to talk about this time around. 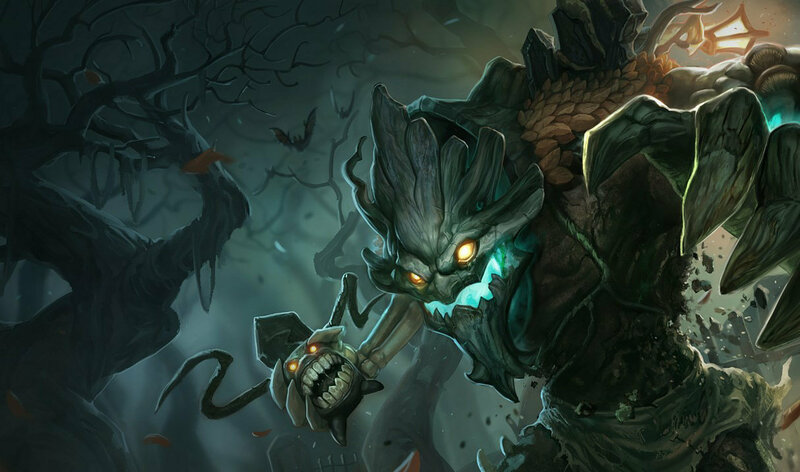 We've updated our tank roster with changes to Maokai, Sejuani, and Zac. We've also made some changes to durability items and added a few more! Support items now have quests and there's more detailed stat-tracking post game. Rift Herald got a makeover and some new mechanics as well. All of us on the Playtest Team are avid gamers so feel free to talk to us as fellow LoL players! Check out the boards for more discussion with the team! 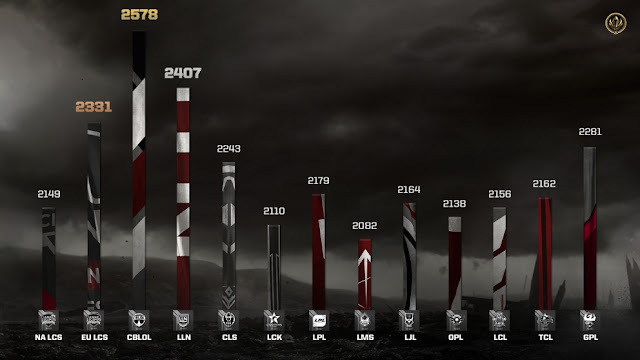 With stage two of the play in kicking off, we have an update on the MSI fandom battle is here - CBLOL is still in the lead with EU and LLN trailing behind in 2nd and 3rd! 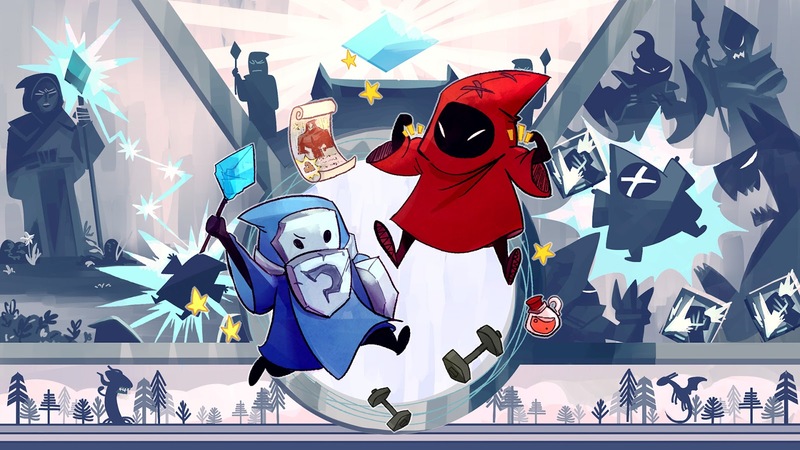 Our next update will be on May 10th. See[this page]for more information! 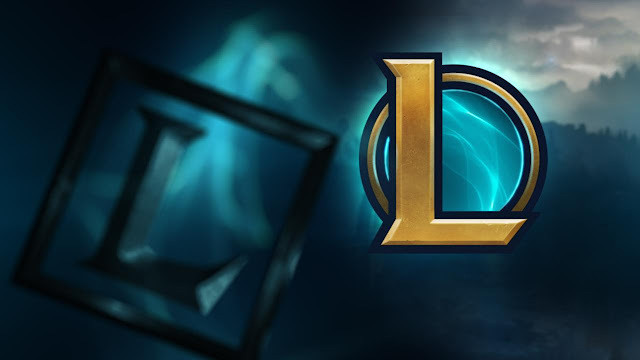 2) As with other regions, the legacy client is now retired on both the EUW and EUNE servers and Riot has put up a post about it including FAQ and additional info! 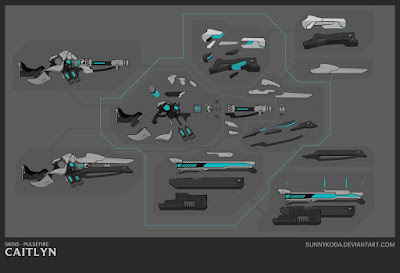 Final schematic for PFC's boom stick. 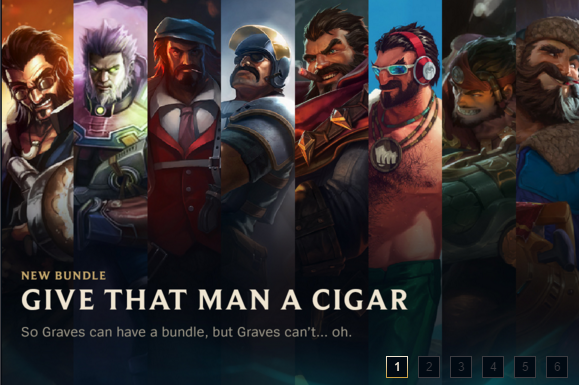 4) With his cigar returning to several in-game assets in 7.9, a large Graves champion and skin bundle is also currently in the shop for a limited time. Last up, a few reminders on upcoming and ending soon promotions and sales! MSI 2017 in-game content is now available, including new icons, the legacy Conqueror Karma and more! Conqueror Karma, returning legacy skins, and more available through May 24th. MSI 2017 continues off with Round 2 of play-in stage on May 3rd-4th. MSI Capsules are also in the shop for 600 RP on broadcast days! As mentioned in the 7.9 notes, Dark Star: Singularity heads to the RGMQ from 5/4 through 5/15. For a limited time when you spend 65$+ in the Riot Merch Store you will recieve a free Demacia hoodie. Visit your regional merch store for more info.